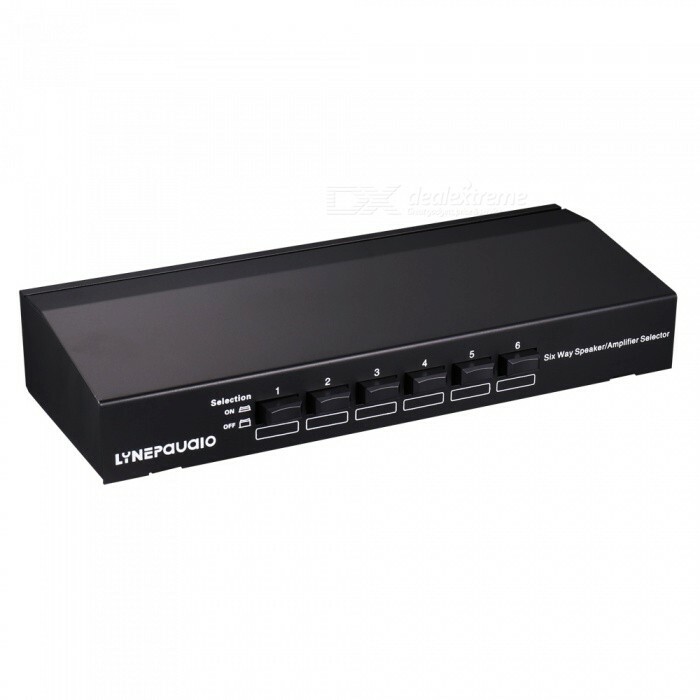 The speaker switcher allows the user to connect multiple pairs of speakers to a single stereo receiver or amplifier or vice versa to multiple amplifiers/receivers of a single speaker pair. 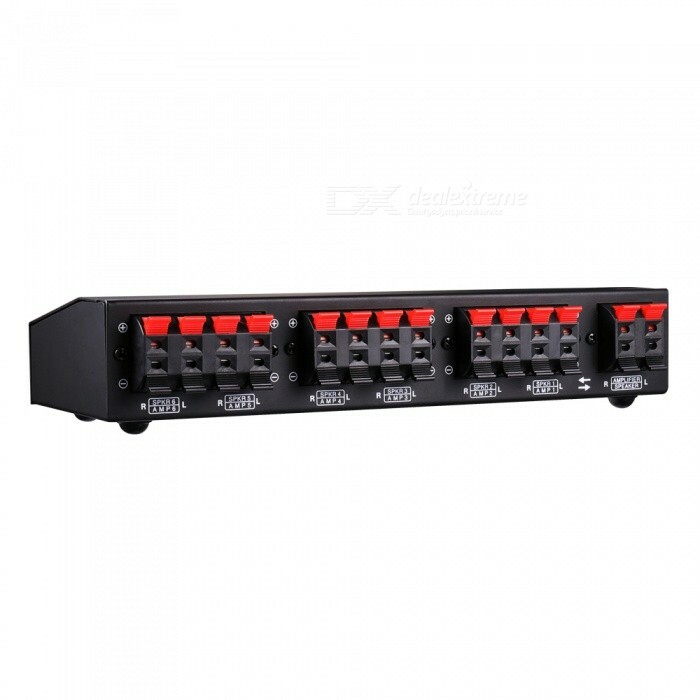 The device has a convenient button terminal that can accept up to 12 AWG speaker lines. [Note]: this speaker switch does not allow multiple speaker pairs to be selected simultaneously. Only one pair of outputs can be selected at a time. This speaker selection can also be used in the opposite way, imagine having multiple amplifiers connected to a speaker pair for setting. 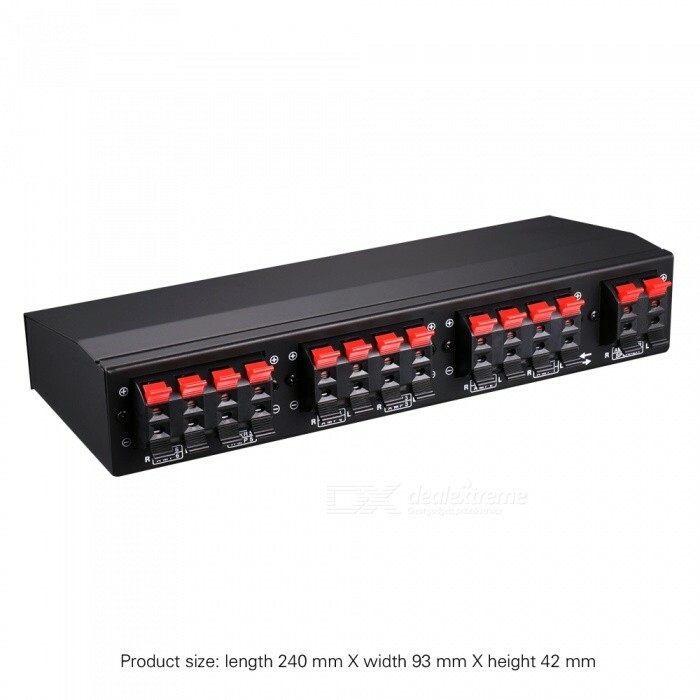 Because each stereo amplifier has its own sound characteristics, the user can connect different power amplifiers to the switch and then output to the same speaker pair. Connect multiple speakers to an audio amplifier/receiver as loudspeakers to select a pair of speakers at a time. Connect multiple amplifiers/receivers to a pair of speakers as an amplifier selection to select one amplifier/receiver. The high-current amplifier protection circuit allows up to 6 pairs of speakers to be connected without damaging the amplifier. The protection circuit can safely protect unselected amplifiers or loudspeakers. Select each time with a manual button on the front panel. 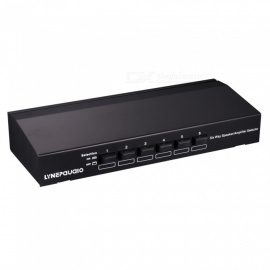 Independent left/right channel grounding path, are compatible with all stereo amplifiers. Use convenient button terminal, can accept up to 12 AWG loudspeaker wires. Supports up to 100 watts of amplifier power and 4 to 16 ohms of all types of speakers. Sturdy, luxurious steel metal case and good shielding. Independent left and right channel grounding path-in-type push-in terminal. No external power supply is required.